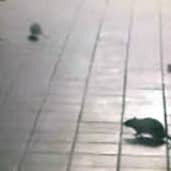 Few things strike fear into the heart of a home owner more than a rat or a mouse scurrying across their kitchen floor. Rodents signal unsanitary conditions, which is of particular concern for anyone in the food industry. Because rodents also like to burrow in soft places, it's also a concern for retail businesses. 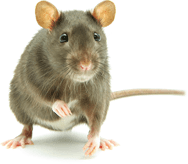 Overall, though, mice and rats can cause property damage just about anywhere, as they chew through wires and nest in insulation. Therefore, the situation must be addressed immediately. PureGuard can rid your home or business of these four-legged critters fast. We have the equipment and know-how to get the job done right the first time. Rodents can damage buildings, contaminate food, and transmit diseases. With more than 2,000 species of rats, mice, gophers and voles in this country, they are everywhere. Rodents specific to this area of Tennessee include the house mouse and deer mouse. They each have different nesting habits, food preferences, and behavior, but they all have one thing in common: they are pests and should be removed. Rodents spread more than 35 diseases. Due to rapid rates of reproduction, a small rat problem can escalate to a large infestation in no time. The sooner you address the issue, the less chance of reproduction that spirals out of control. Rodent control should only be performed by a licensed and trained professional, who can ensure proper preparation for a successful eradication. It's time to give us a call for a more effective and timely solution for your rodent problem at 615-502-2855. Awesome customer service and did a great job. Very professional company and you can tell they are run well. No more Rodents! I will definitely use them again.